Bridgeton Central Station was the terminal for the Balloch and Helensbugh services. It was also a carriage service depot, and a booking on point for drivers and guards. 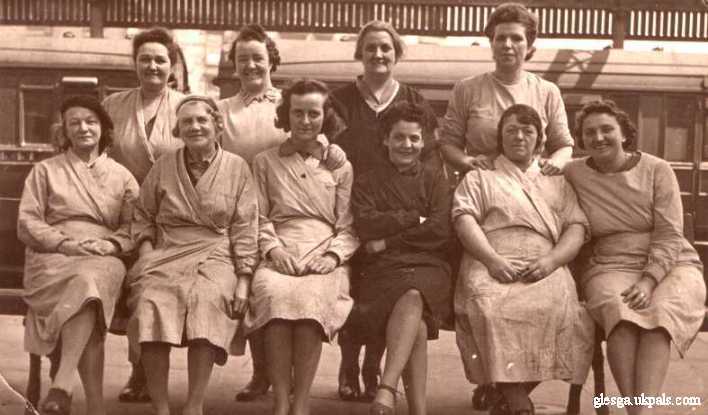 The station was originally owned by The North British Railway Company until 1923, when it then became The London and North Eastern Railway (LNER) until Jan 1948 when all railways were nationalised and became British Railways. The station was closed to passengers in 1979 but remained a depot for stabling sets. (class 303 electrical multiple units- as shown in the photograph below) but closed completely in 1985 when a new depot for the whole of the North Electric Services came into operation. Photograph taken inside Bridgeton Central Railway Station 3rd November 1979. Showing the Electric trains in service at this terminus station, which branched from the High St.
With the opening of the new Argyle Line on November 5th 1979 this station was sadly closed. Railway Station in London road and below a coloured photo of the old station. 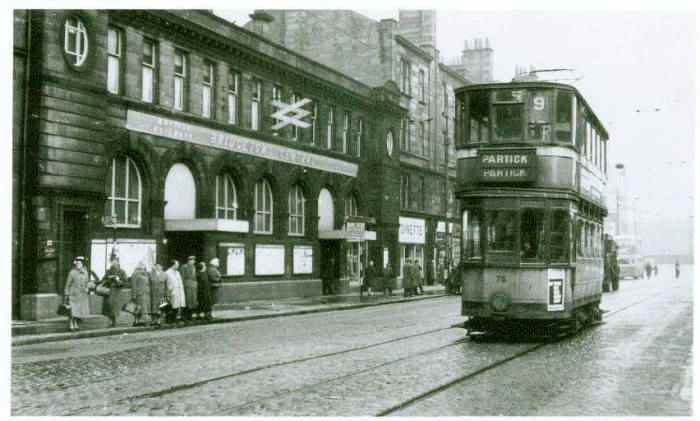 Bridgeton Cross at London Road. 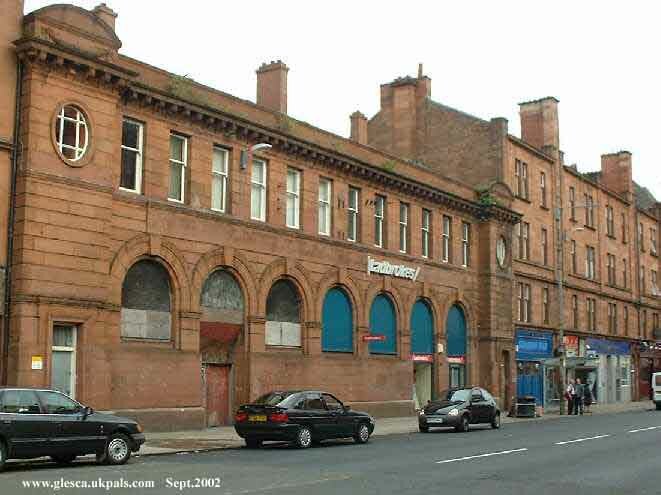 To see the Bridgeton Cross Railway station located 100 odd metres east along the road, click link below.